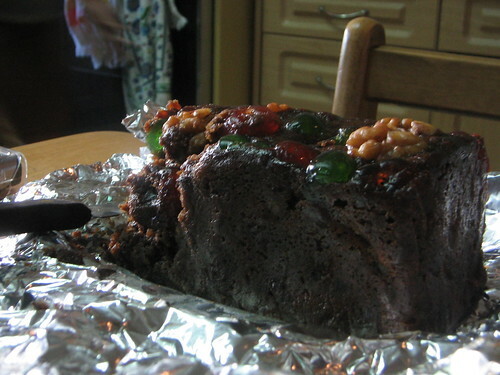 Round these parts we eat our Christmas fruitcake. And enjoy it, too. Next post: Happy Operculectomy Plus Shave and a Haircut Day!